Michele Wright is an award-winning anchor, reporter and multimedia journalist. She anchors the CBS12 News at 10 p.m. on the CW 34. She is the CBS12 Breaking News anchor for the 5 p.m., 5:30 p.m. & 6:00 p.m weeknight newscasts. She joined the team in August 2010 as the morning traffic anchor, feature reporter, digital producer and fill-in news anchor. Before WPEC, she worked in Orlando at Orange & Vision Television as the main anchor of several shows. 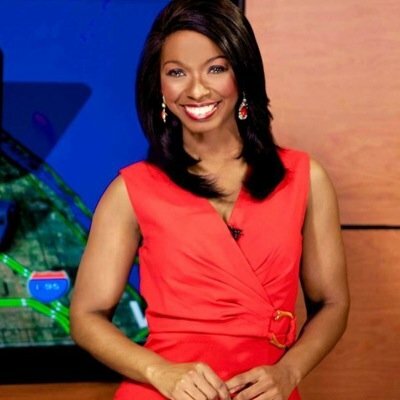 Prior to that, she worked for WTLV-12 as a freelance reporter and as the morning traffic anchor and feature reporter at WJXT-TV Jacksonville. Since 2013, Michele has lead the CBS12 Extraordinary People weekly segment that spotlights local heroes who are making a positive impact in the community. If you or someone you know has an event, organization, charity or business that is making a difference, she wants to hear from you! Michele was the first in the market to help program, implement and roll out two on air traffic systems and make her mark utilizing the top leading interactive storyteller monitor. Michele is most proud of her volunteer work & has dedicated her life to service as a leader and community ambassador championing worthy causes and charitable organizations. She was awarded 2014 Leading Lady with Palm Beach American Heart Association for her tireless efforts and support of stroke and heart disease awareness in honor of her father who survived 2 strokes. On behalf of her mother & a dear friend who has MS, she is an active supporter of the Multiple Sclerosis Foundation. She was named one of Orlando’s Top 10 Young & Powerful Players and was selected as one of Central Florida’s 25 Most Beautiful People and published in the Orlando Sentinel. She also has an entertainment news background, as former co-host of Jacksonville’s “Gimme The Mike” local (American Idol) talent show in Jacksonville working with numerous celebrities and sports athletes. Michele loves children and is kid at heart. Growing up, she assisted her mother a specialized geriatric nurse with patients. Her love shines bright today for support and initiatives/programs for the elderly community. She is a jack of all trades. She is a techie with a extensive background in software programming and technical training. She’s been recognized for continued excellence on web, social media & digital platforms. On and off air Michele is known for her passion, commitment, creativity, and ability to lead by example. She loves connecting with viewers and values the opportunity to come in to their homes every night. A proud native of Florida, Michele enjoys spending time with family, friends and getting away to the beach and #LoveFL getaways as much as possible. As a Vegetarian, health & fitness are key. She plays the piano and enjoys reading, writing and taking dance classes. She adores fresh coffee, cooking homemade meals, football (Go Noles! ), traveling and fashion. Michele feels blessed to live, work and play in beautiful South Florida and do what she loves to do everyday.